Slab bacon from heritage-breed pork, raised humanely on small farms, with no antibiotics or growth hormones. 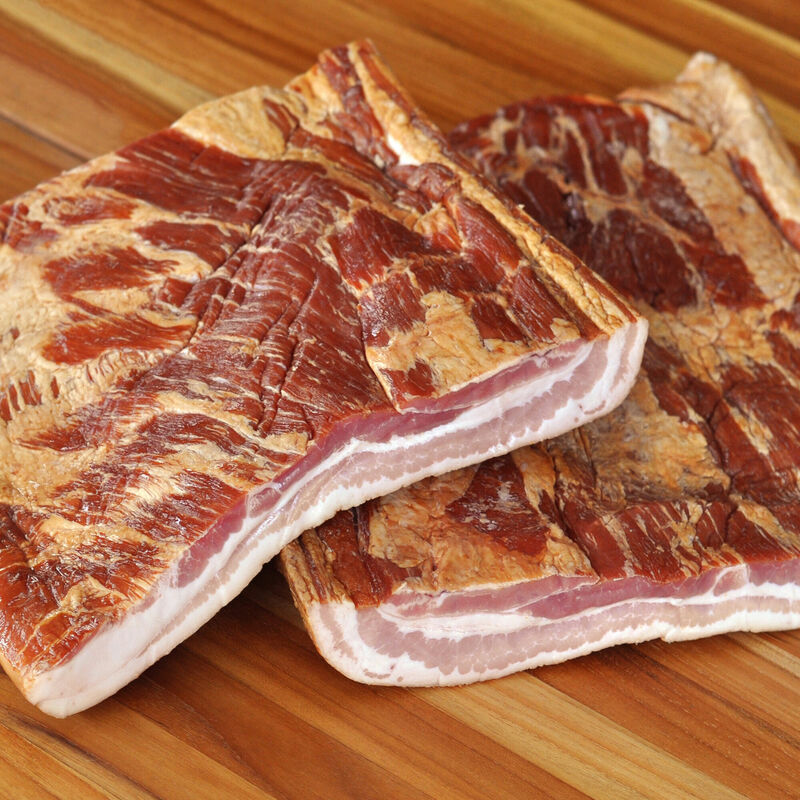 Slab bacon is naturally smoked over applewood chips, with no nitrates, nitrites or preservatives. This full-flavored bacon made the old-fashioned way is perfect for slicing as you like it.